Workout of the Week: Power Ups & Downs. 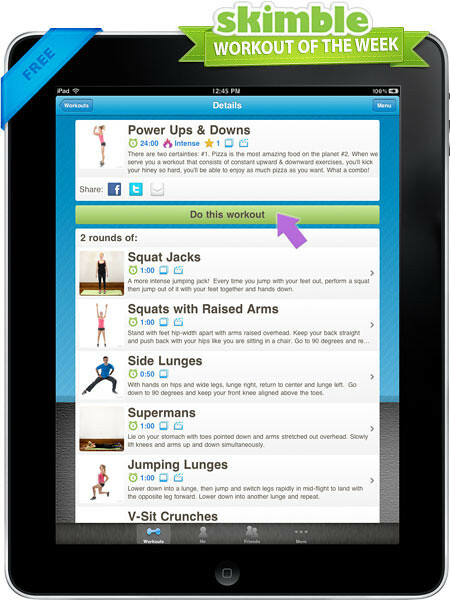 Do it now using the Top 5 Health/Fitness iPad app, Workout Trainer! When we serve you a workout that consists of constant upward & downward exercises, you’ll kick your hiney so hard, you’ll be able to enjoy as much pizza as you want. What a combo! 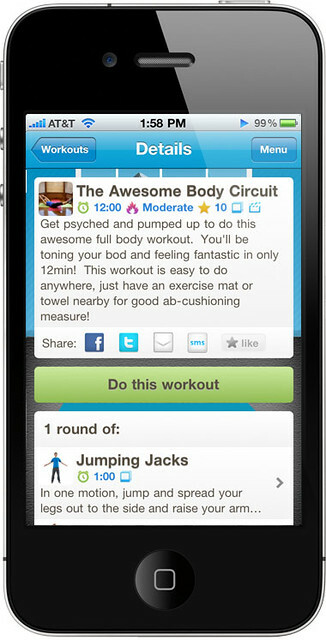 Workout Trainer for iPad Launches! Time to ditch those ’80s fitness DVDs. 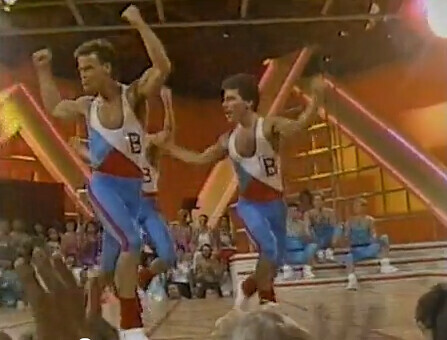 Keep the leg warmers but please ditch those ’80s fitness DVDs! 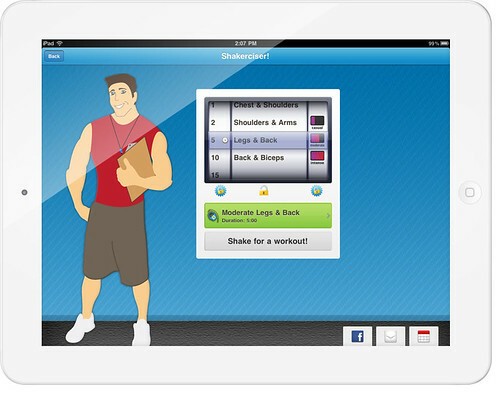 Load up your fave music playlist and follow along to Skimble’s Workout Trainer for iPad. We’ve got a superb selection of ab-crunching, arm-pumping and body-building workouts in our latest iPad and iPhone release. Built on the functionality that organically made Workout Trainer for iPhone a top free Healthcare & Fitness app, our iPad version is aptly suited to pack a punch! Doctors prescribe ways for you to be healthy…but personal trainers MAKE you do it. 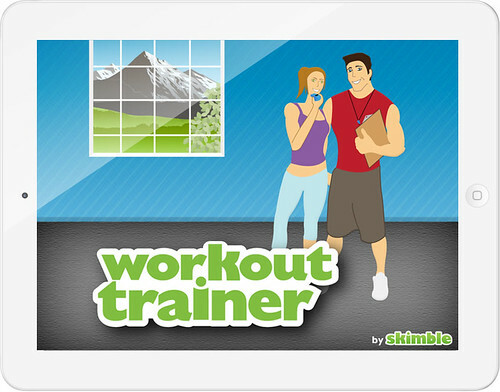 Skimble’s virtual and real trainers strive to do just that! Select your trainer and go with the flow – you’ll be motivated and on track in no time. Skimble Workout of the Week…WoW!